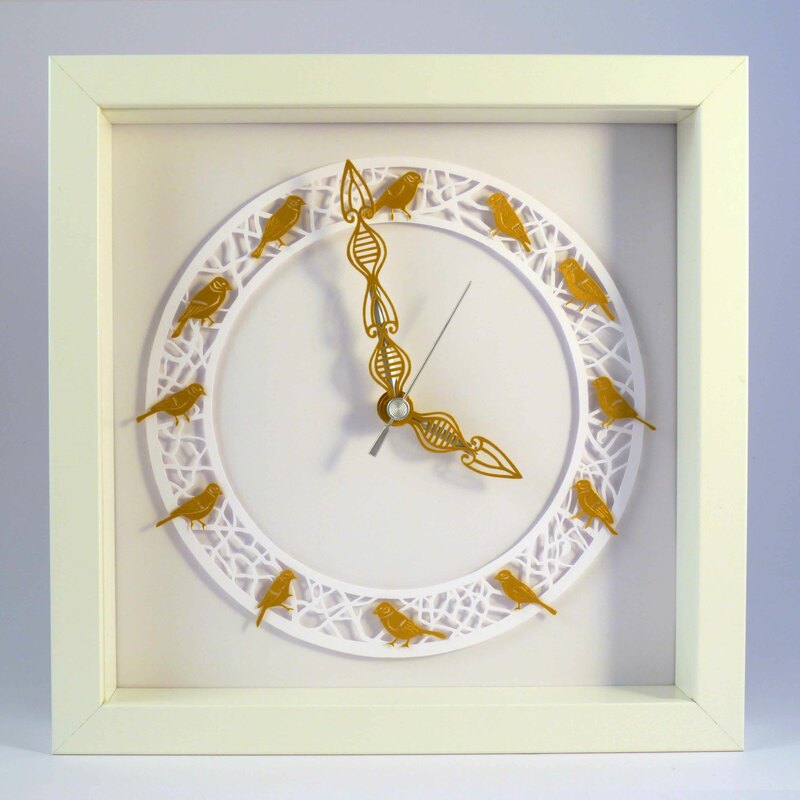 Natural Spark is a collection of beautiful and intricate hand cut paper clocks inspired by creatures and natural forms found within nature. 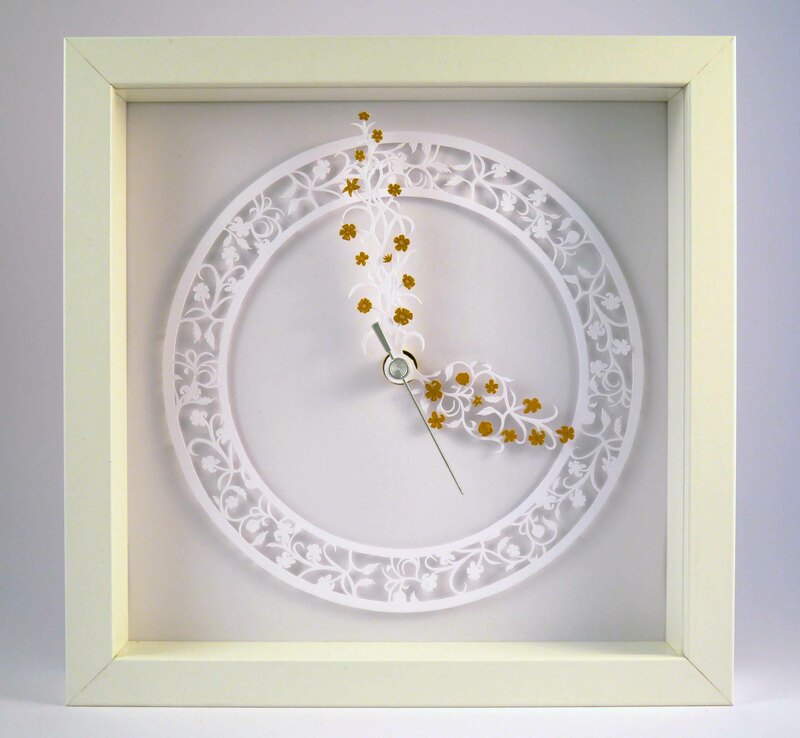 The clocks have been developed with a series of original hand cut designs each individually laid to create a sense of depth. 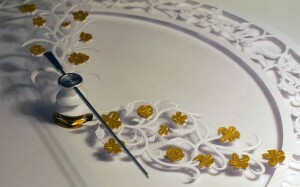 This technique allows subtle shadows to evolve and transforms the overall atmosphere of the functional artwork. 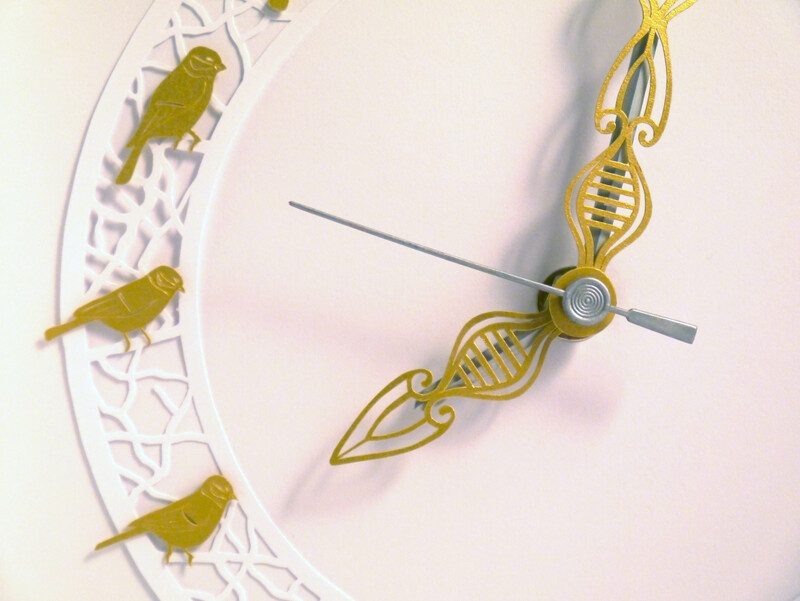 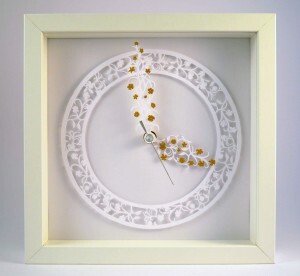 Through the experimentation of materials, Katie King Design has been able to develop a range of clock hands all produced from hand cut paper. The delicate quality of the materials and processes used to create these exquisite products compliments the subject matter beautifully. 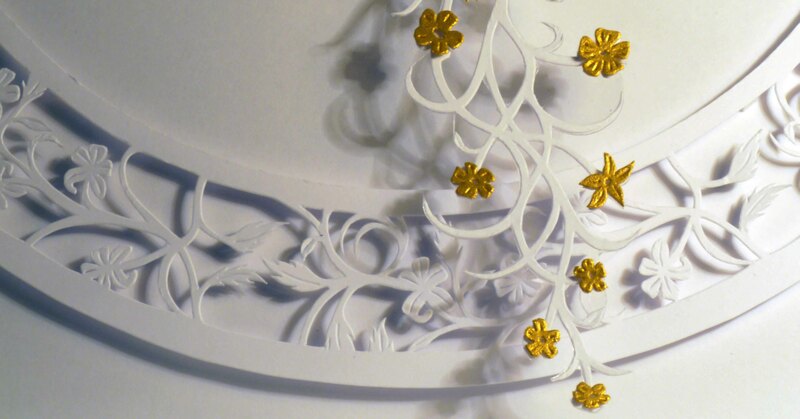 To see our range of matching lampshades click here.